Thank the blogger who gives it to you. Nominate eleven bloggers with less than 500 followers. (1) What did you dream about being when you were a kid? I wanted to have adventures like the characters in my favorite books and cartoons. Being something practical, career-wise, almost never crossed my mind when I was a kid. (2) East Coast or West Coast? West, although I’ve been firmly planted in the Midwest for many years. Raspberry trifle. Or anything with raspberries in it. (4) If you could meet one author (dead or alive) who would it be? I’d like to have coffee with Elizabeth Gilbert. She seems like the sort of person who would chatter nonstop, but her conversation would be so interesting that it would be okay. This question brought back a fun memory of a square-dancing class as a child. Do-si-do gave me much amusement. (7) What is one of your underappreciated superpowers? (8) Vegetable garden or flower garden? Flower, mostly; although one of my favorite garden flowers is alyssum, which is a cruciferous vegetable. Alyssum blossoms are tasty on salads and in chicken soup. There are many kinds of edible flowers, but I haven’t ventured to try eating any others yet. (9) What is one of your favorite memories? Being presented with my engagement ring in December 1985. It was literally wrapped up as a present, in a box with Christmas gift wrap. I didn’t suspect a thing – opened the box fully expecting to find a bracelet or other small holiday gift. Great surprise! (10) Who inspired you the most growing up? My mom, who always told me that I could do whatever I wanted to do, thus teaching me the valuable lesson that it’s often more useful to be confident than realistic. (11) Have you mastered any tongue twisters? 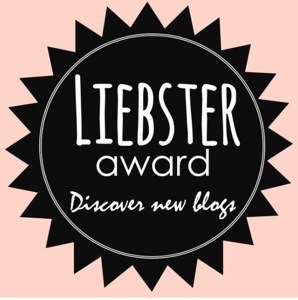 I am nominating the blogs listed below. If I mistakenly picked anyone who has more than 500 followers, doesn’t like awards, or has already done this one, please feel free to accept the recognition without the award! If you had a time machine, when would you visit? Do you have stuffed animals, real live pets, both, or neither? How do you most enjoy spending a rainy weekend? What’s the most interesting wildlife you have seen near your home? Do you prefer jeans or sweatpants? Ever seen a ghost or had any other paranormal experience? Do you mostly read e-books or paper books? Most memorable thing you ever did with your hair? What comfort food do you find most comforting? Do you have anything in your house that is completely useless, but you kept it anyway for sentimental reasons? Hello Meg. Thank you so much for this recognition. I truly appreciate your support and love. You’re very welcome, and I hope you like my eleven questions! Thanks — enjoy your day too, and the long weekend! Congratulations on your award, and to your daughter on her graduation. Thank you — much appreciated!